There was a problem  Please try again. 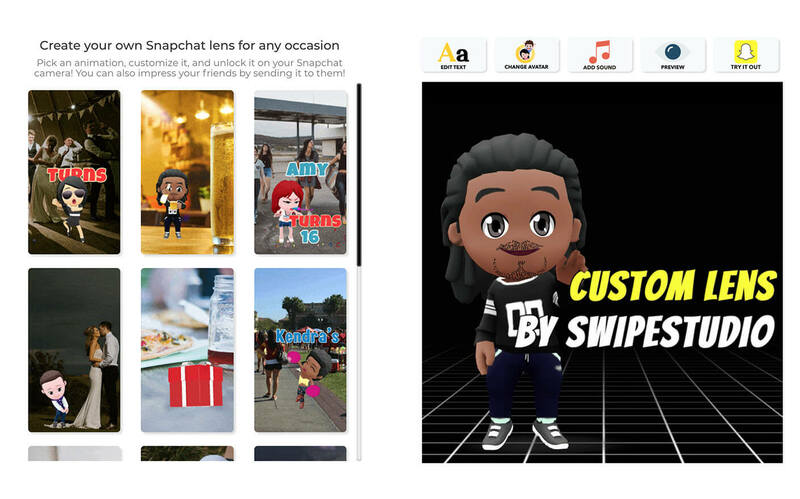 SwipeStudio helps you easily create and share custom AR experiences on Snapchat! It'll just take you 5 minutes! Snapchat (world) lenses are animated objects that you can place in the world around you using your Snapchat camera - just like our good ole dancing hotdog. SwipeStudio now lets you create and launch effects like this, personalized for your own event or venue. Our technology handles all the heavy lifting, making it super easy and fun for you! Our effects are snaptastic - perfect for any event! Just pick one that you like, customize it, and make it your own. Rest assured, your friends will go crazy! Personalise your lens with a special message for your friends or a funny one-liner. Get the perfect look for your lens by choosing an avatar that is best suited to you. Make your lens entertaining by adding some fun background music. Not sure how your lens will turn out? Try it out on Snapchat before you buy! 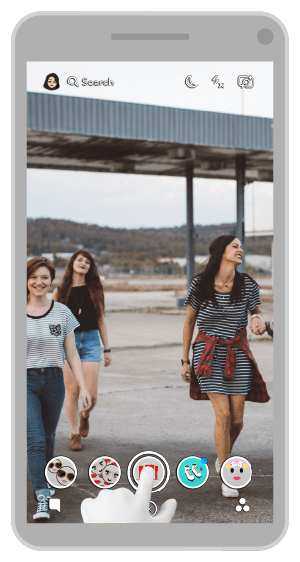 SwipeStudio offers online tools to create your own Snapchat geofilters and manage your Instagram page.